The 1975 have revealed they are set to release not one but two new albums, and today the band are previewing their new material with a single called "Give Yourself a Try." The band premiered the song on Annie Mac's BBC Radio 1 show today, and you can listen to it below. 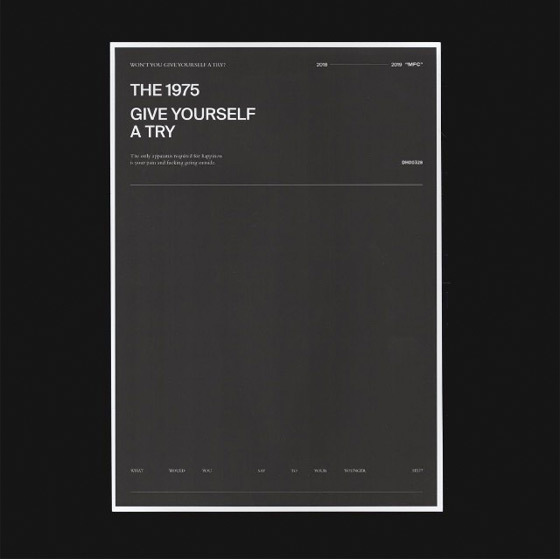 While on the program, the band's Matty Healy revealed the 1975 plan to release a new album called A Brief Inquiry into Online Relationships, with "Give Yourself a Try" serving as its first single. Then in May 2019, the band will release a second album called Notes on a Conditional Form. The band previously stated their next album would be called Music for Cars, but that no longer seems to be the case. The 1975 last released a full-length back in 2016 with I like it when you sleep, for you are so beautiful yet so unaware of it.